The 2018 UK Business Awards is a vehicle for sharing best practice, allowing organisations who enter to showcase professional improvement, development and learning. 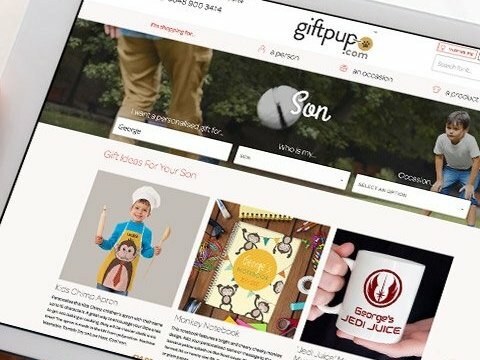 We entered Giftpup, a Magento store offering personalised gifts, into the Retail and E-Commerce category. We were approached by Giftpup to refresh their site and implement complex integrations between the client and their suppliers. Entering this award was a great opportunity to show how our internal processes complimented the build process to successfully fulfill the requirements of the project brief. Similarly, Giftpup was also entered into the 2018 Ecommerce Awards. These awards are now in their 10th year and have consistently highlighted some of the very best online retailers, agencies, companies, innovations and more. Winners for the Ecommerce Awards are announced on the 26th September, and on the 7th December for the UK Business Awards.